Pre-registered runners receive a long sleeve New Year’s Day 5K race shirt and finishers will receive a New Year’s Day 5k finisher medal! After the race enjoy coffee, hot chocolate and some tasty treats! 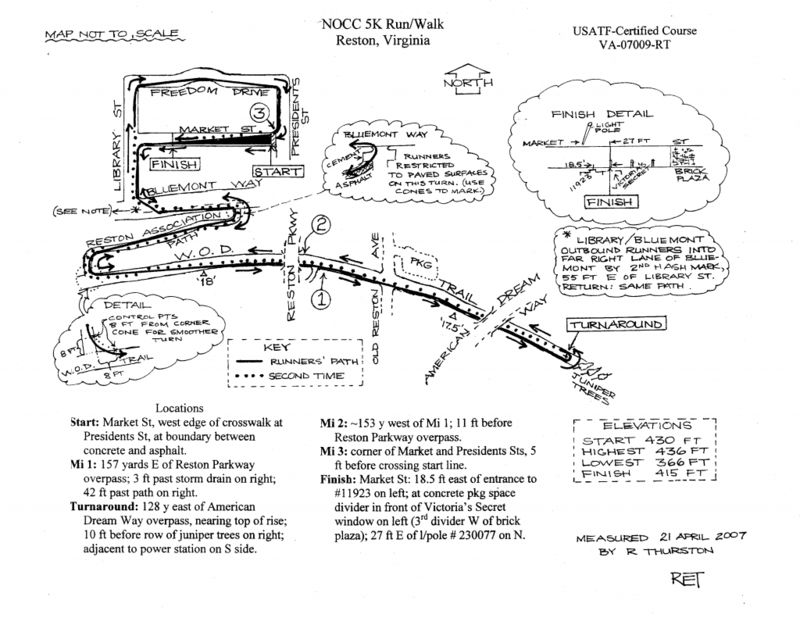 Due to construction at Reston Town Center an alternate course similar to the one posted is being designed. A new course map will be posted when available. There will be awards to the top 3 male and female finishers as well as awards to the top 3 male and female finishers in the following age categories: 14 & under, 15-19, 20-24, 25-29, 30-34, 35-39, 40-44, 45-49, 50-54, 55-59, 60-64, 65-69, 70-74, 75 & over. There is plenty of free parking available in the parking garages at the Reston Town Center.